in his opening Group H match on Thursday, 11 August. 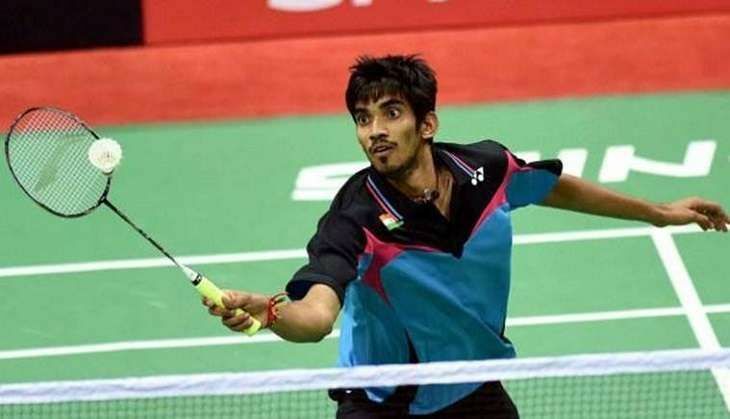 This is Srikanth's debut at the Olympic Games. Srikanth rode the momentum during the first set and never even gave Munoz a chance. After gaining a healthy lead, Srikanth finished it off with ease, winning it 21-11.In the second set though, Srikanth's game dropped and Munoz had a real chance. Munoz took advantage of Srikanth's lax game to even things up at 17-17. Srikanth picked things up, won four straight points and finished off the second set and match 21-17. Srikanth's next opponent will be Sweden's Henri Hurskainen. That match will be his final match in his group and will take place on 14 August. Srikanth's win comes on the back of singles wins by Saina Nehwal and PV Sindhu, rounding off a relatively good day for the Indians. The men's - Manu Attri and Reddy and women's - Jwala Gutta and Ashwini Ponappa - doubles teams suffered defeats in their first matches.